If you didn’t know Risotteria existed you may end up walking right by it, I did. It’s nestled in the heart of Bleecker street surrounded by the hustle and bustle of tourists and locals checking out all this street has to offer, which is a lot. Risotteria is Mecca for us gluten free foodies who are looking for a place to get a quick, seriously awesome bite to eat that’s accompanied with fun people watching. Olive Garden has nothing on Risotteria’s complimentary gluten free bread sticks! 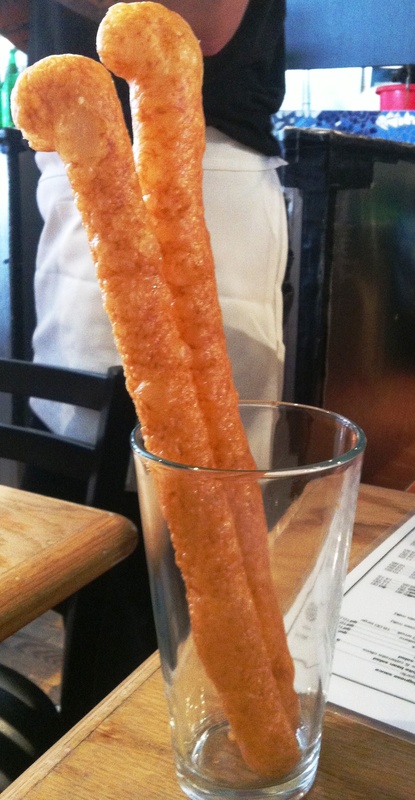 Every order comes with these golf club shaped bread sticks that are delish. They have an awesome buttery, salty taste with a crunchy/chewiness that makes them quite addicting. If you’re not careful you may end up getting full off of these alone. You have been warned. 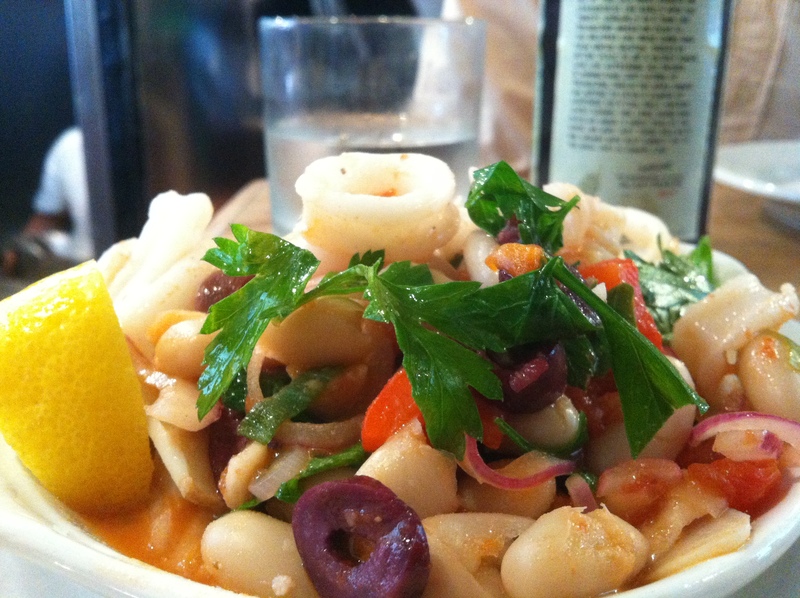 Calamari is one of my favorite seafood appetizers to eat when dining out. This dish was very fresh and light. It had a rustic feel with its presentation that I really appreciated. I loved the combination of saltiness from the kalamata olives, crunch from the red onions and the flavor of the white beans that provided an earthy taste that really works. The main entrees can be pretty filing so I recommend sharing this appetizer with someone else. Hands down this is the best gluten free pizza I’ve ever had! I know this is a very bold statement but it’s true. First, the ingredients used to make this were on point and unbelievably fresh. Usually, restaurants skimp on the prosciutto but not Risotteria. Check out my picture to the right – the chef was very generous with the prosciutto which was a huge plus. 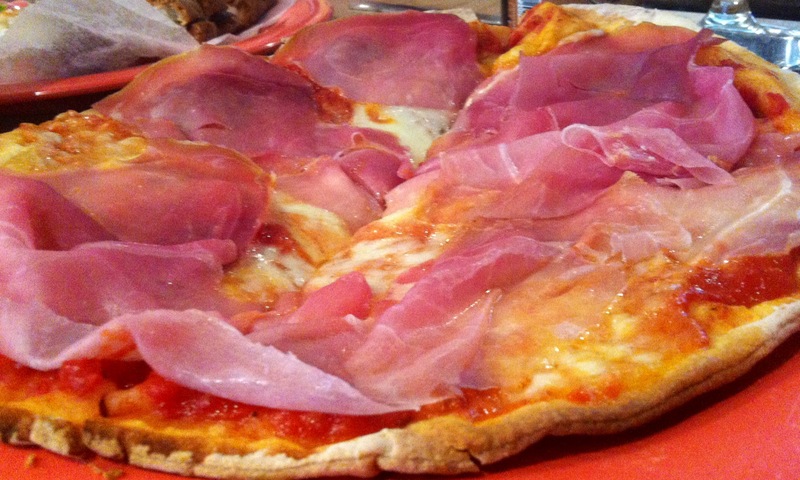 Next, the mozzarella and red sauce were a perfect complement to the prosciutto. Neither were too salty or taking over the pizza. The showstopper here was absolutely the prosciutto. Last but definitely not least is the gluten free crust. As I’ve mentioned in my L’asso post, the crust is just as important as the ingredients on-top of it. This crust was pretty much perfect. It was very thin, crunchy and not overcooked at all. It tasted just like traditional gluten filled Neopolitan Italian pizza. And for a brief moment it made me second guess if the server accidentally gave me the gluten pizza but he didn’t. Lemon anything is always good. 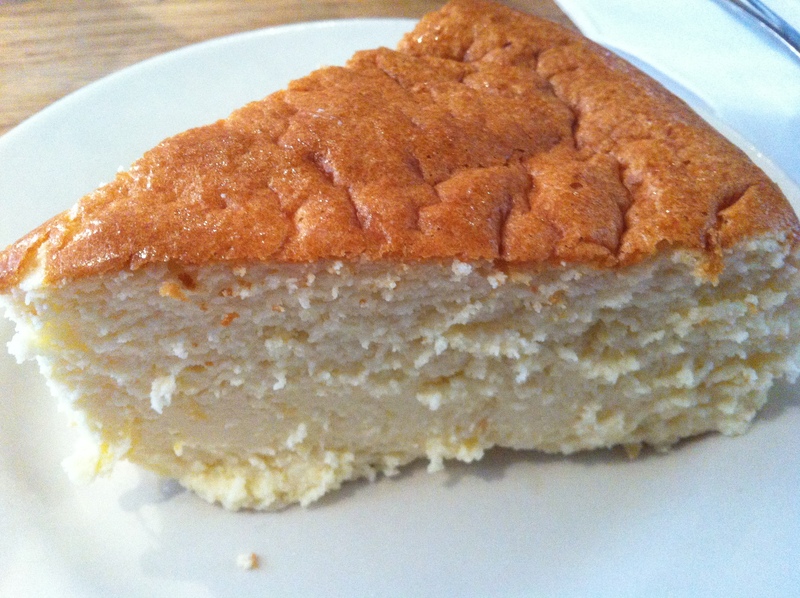 If you like lemon squares, lemon tart or lemon meringue pie then you’ll love Risotteria’s Lemon Cheesecake. It’s made in-house which is a plus and they give you a huge portion but for $9 they should because that isn’t cheap. The one con about the dessert is that it didn’t have a gluten free crust. Fun Fact: Risotteria originally started off as a late night risotto bar. Owner Joseph Pace saw a need for gluten free Italian food in NYC and decided to spearhead the movement! Now Risotteria has a great selection of both gluten free and gluten filled pizzas, sandwiches, risottos, desserts and seasonal gluten free beers and wine. To check out the full menu click here. Whether you live in NYC or are just visiting I highly recommend you put Risotteria on the list of ‘must-eat’ places. It has something on the menu for everyone and it’s in a great location to spend the day walking around checking out different boutiques. Risotteria is a true diamond in the ruff that you won’t be disappointed if you visit. Just make sure to get there early because it doesn’t take reservations and fills up fast.